Join us at the Microsoft NERD Center in Cambridge for the September Boston Mobile C# User-group on September 20th! 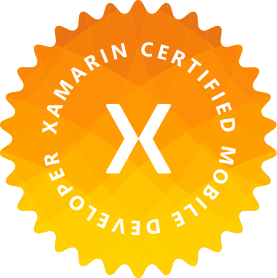 I’ll personally be speaking about implementing the Flux design pattern in your Xamarin and other .NET applications. Flux is the design pattern created by Facebook in your .NET apps to build robust and manageable data-driven interfaces. Learn what Flux is, how it differs from other patterns such as MVVM and MVC, and follow along and build your first app with Flux. Alex Dunn is a software consultant and architect with a passion for mobile application development and edge technology such as machine learning, AI, IoT, and modern web. He’s a Xamarin MVP and a Microsoft MVP for .NET, and can be found giving Guest Lectures at Xamarin University or organizing Boston’s Mobile C# User-group. Follow Alex and learn how to build beautiful and robust applications.